This was the 4th marathon in the Rock “N” Roll Marathon Series that we completed! This is the first ½ marathon that counted towards the Series “Rock Star”. We were actually looking forward to just doing a half after all the marathons we were doing that year. Sometimes that break is just a great relief from the pounding we have done to our bodies! This is a great fast marathon as it is flat as can be. It runs across Virginia’s beachfront boardwalk. As with all the other Rock “N” Roll marathons, bands play throughout the race. 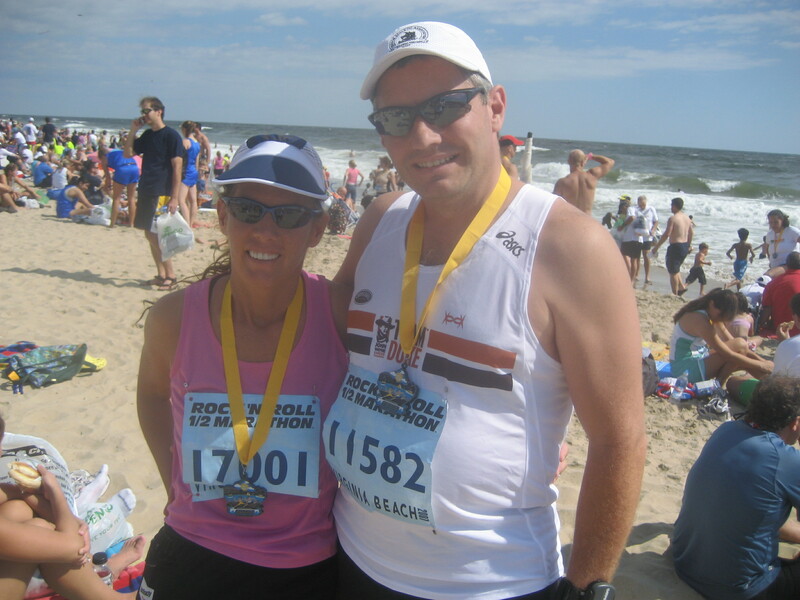 This entry was posted in All Marathons and tagged Rock and Roll Marathon, Rock Star, Virginia Beach by TwogetherRunners. Bookmark the permalink.